All product sources listed at the bottom of this post. The buffalo check accent wall I painted was the greatest labor of love but I’m thrilled with how it turned out! As you can see from the first picture on top and the one directly below, we completely changed course with the area rug situation. All of the ones that I ordered originally either the color was off or I just wasn’t happy with them in person. We found this round rug at Pottery Barn kids and it’s a perfect match. 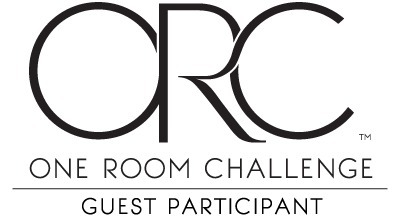 While I originally had 4 DIY projects I had hoped to incorporate into the ORC, it didn’t happen with life and pregnancy getting in the way so I only got to 2. 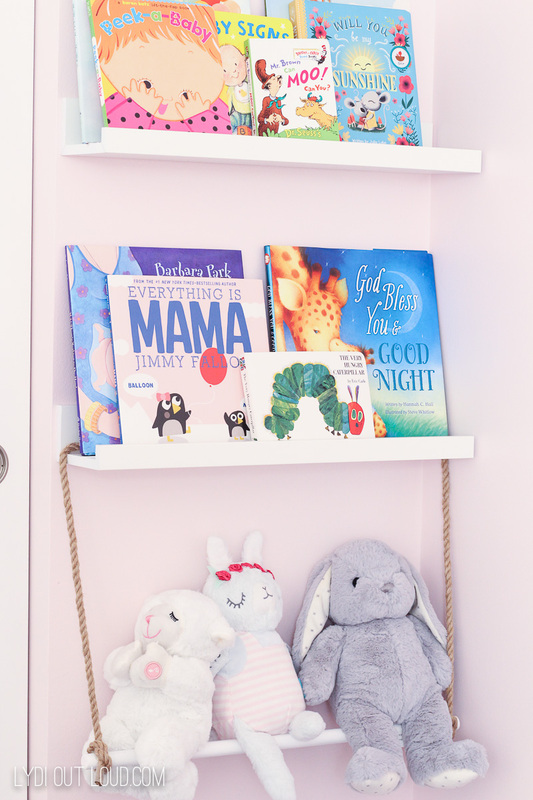 This stuffed animal swing was one of the projects I actually completed and I love it hanging below our baby girl’s growing book collection. The Child Craft Roland Furniture Collection in white made an absolutely beautiful focus in the nursery… the design detail and construction are truly spectacular. 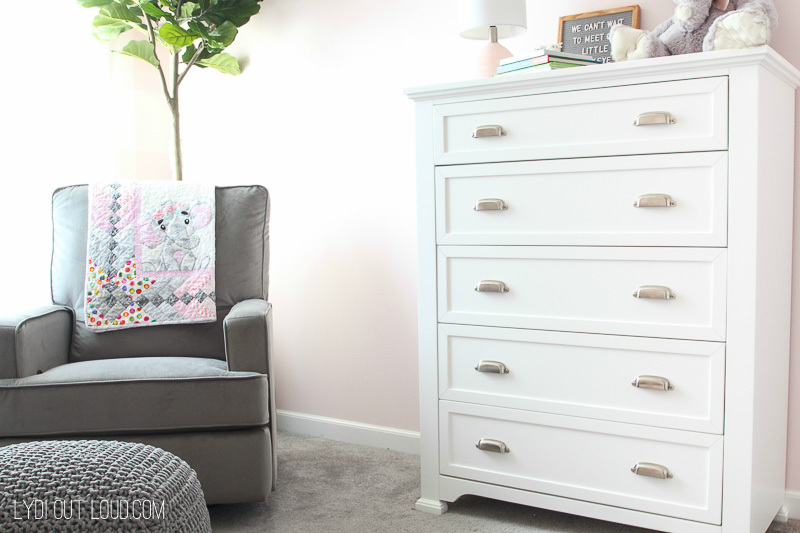 We will get many years of use out of all of it, especially considering the crib transitions from toddler bed to day bed to full size bed and the changing table kit is removable leaving behind the beautiful double dresser. I am OBSESSED with this adorable nursery art I found on etsy. Isn’t it so adorable?! It’s printable so I was able to print them right at home and frame them easily. 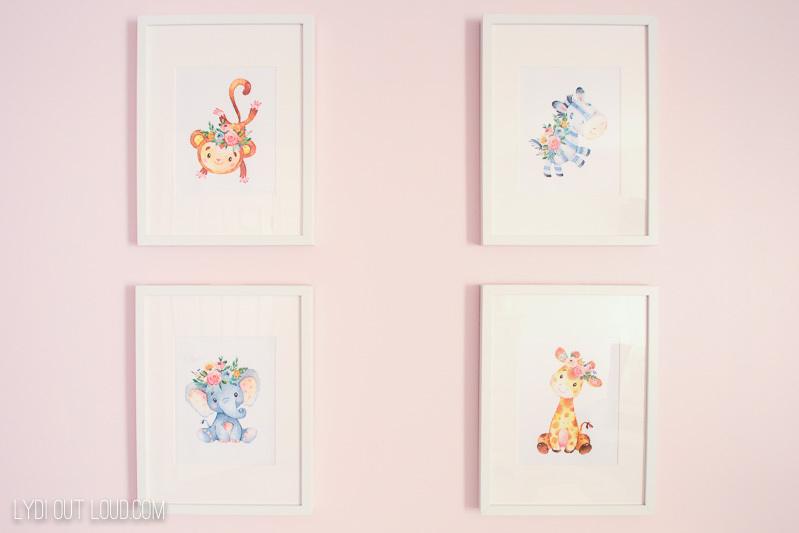 So that’s a wrap on our baby girl nursery and my first One Room Challenge! BIG thanks to my sponsors Child Craft Baby and Sherwin-Williams for your amazing contributions to the nursery! Thank you to Linda of Calling It Home for hosting the this inspiring challenge and to the official media partner, Better Homes and Gardens. If you haven’t seen the other transformations yet, now is the perfect time to check out all of the final reveals! OMG! What a transformation! I’m in awe! Fabulous job Lydi!! The choices you pick are beautiful! Love the pink print on the wall! The color choices blend well together! I love It Lydia!! I can only imagine how full your heart is going to be when you sit in that beautiful room holding your new miracle! Love you girl! You did a great job Lydia! The room is adorable! 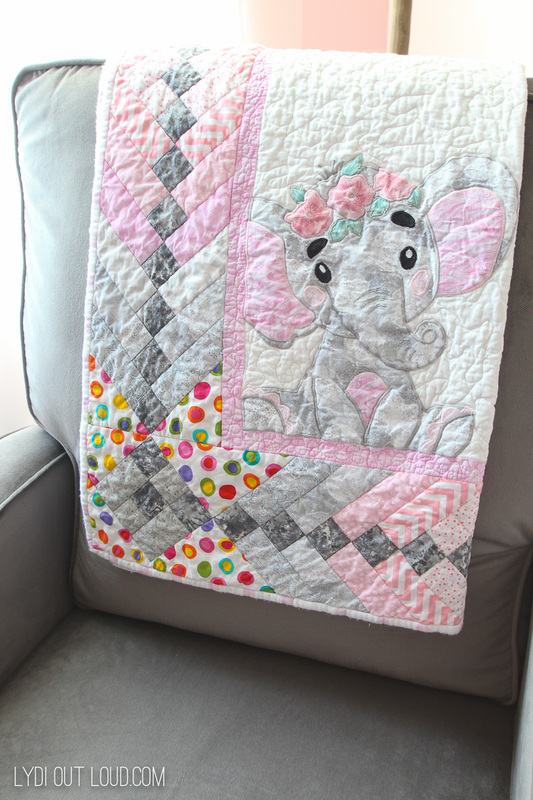 I can’t wait to see the baby in her nursery! Beautiful, sweet, room! I love the buffalo check pink accent wall. Enjoy! OMG the baby girl’s room looks AWESOME. You will need to post a pic of BABY GIRL in her new digs. Great job! I love the sweet simplicity of this room. Pink still wins. I can’t decide whether I like the swing or the wallapaper more.